As a webmaster or website owner you want to be able to use the best tools in order to find the right ways and systems to promote your site. 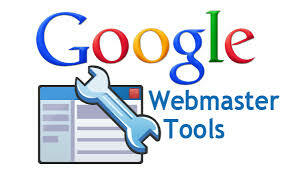 Google provides two very easy tools to analyze, track as well as fix and better promote your sites. Google analytics offers the best tools to analyze the results of your efforts and Google webmaster tools can demonstrate how the engines are seeing you in their results. Both systems will return results that can help you track and perform actions for a better website and engine ranks.While some view these two sets of tools as one, at a deeper level the actions they perform and the tools they offer are actually very different. Digital marketers in particular will find great value in both Google Analytics and Google Webmaster Tools but both are also very good tools to get your site in shape for the giant to take a look at your website and access its value. Webmaster Tools reports on how search engines interact with your site, while Google Analytics reports on how website users interact with your site. Both can be used to leverage more traffic and more sales from a website.Google Analytics Uses and Functions Analytics tracks data and analyzes those results. Google Analytics is meant to give a picture of who is coming to a website, how many hits a site gets, how people are finding the site and what content is popular. 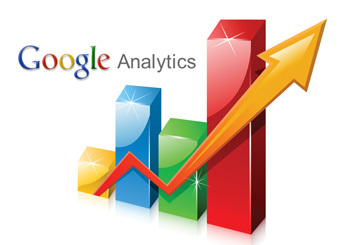 Adsense, Google+ and AdWords are all integrated into Google analytics. Your entire website traffic statistics including total visits, average time on site, and bounce rates along with demographics and how visitors find your website are all important aspects which can help you determine what tactics to take to make your website popular. Site analytics will give you some key information that will allow you to make any necessary changes for improved traffic, engagement and more overall potential conversions of your traffic to fans, return engagement and sales. Learn more about the basics of Google Analytics and how to get your tracking code enabled on your website to start taking advantage of the most popular features.Google Analytics Features: Traffic Reports Keyword Details Content Returns Conversions Visitor ReportsAll kinds of reports are available that will give you the details and the results of your activities so you can make adjustments and assessments as to what is working and what needs to be changed.Google WebMaster Tools While analytics will give you good information that will tell you the who, what, when and where’s of your site, Google Webmaster Tools is more geared to how your site performs in the eyes of search engines. Information that is returned is more about how search is looking at your site and what it thinks of your links, site maps and website configurations. The visibility of your website on search engines can be based on the number of impressions generated for particular keywords and page click through rates. XML site map crawls and 404 error results will be reported by Webmaster Tools to allow you to tweak your site for better performance and engine results. Knowing what is wrong is sometimes half the battle. When you need help to determine what actions are best to improve the visibility of the site and fix problems then you can turn to Google Webmaster Tools with the confidence that this system will be able to determine what is affecting your rank and your website’s return in the engine results.Google Webmaster Tools Features: Crawling Search Results Links Site Configuration Diagnostic problemsGoogle Webmaster Tools makes it easy for you to determine how Google looks at your website .Web designers and website owners can use this tool to not only identify but also to fix problems on the websites that are related to links, searches, URL’s and HTML errors. There are many tools here to help you improve the visibility of the site and fix problems that may be affecting your rank and engine results.You will find both tool sets are easy to use and they provide insightful data results that will allow you to gain valuable information which you can act on to improve your website, conversions and engine result. The best part is, they are both free and one easy tutorial and a tracking code is all you need to get stared.